New #PrivacyFilter from @3Mscreens offers 30 percent greater clarity than its standard Black Filter. ST. PAUL, Minn.--(BUSINESS WIRE)--At any given time, you or someone near you is looking at a digital screen – a screen potentially displaying sensitive information. 3M has launched a High Clarity Privacy Filter that gives users an ultra-vivid viewing experience with their screen, while helping to protect the privacy of sensitive information displayed on it. 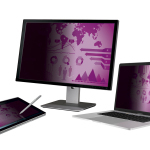 The High Clarity Privacy Filter from 3M, available for monitors, laptops and tablets, provides an average 30 percent more clarity than standard 3M™ Black Privacy Filters. This development allows for the crisp image clarity that users want when working on detail-oriented projects like spreadsheets, graphic designs, CAD models or presentations – and when working on high-end devices, such as the latest Apple® MacBook Pro® computer or iMac® with Retina® displays. As a pioneer in visual privacy solutions, 3M leveraged its advanced micro-louver technology to create the new filter with a glossy finish on both sides for enhanced clarity. The filter provides effective blackout privacy from side views outside a 60-degree viewing angle. This gives workers the freedom to work more confidently and productively, as it creates a side view barrier to prying eyes and visual hackers who try to capture sensitive, confidential and private information from screens for unauthorized use. In addition to providing premium privacy protection and screen clarity, the 3M High Clarity Privacy Filter reduces blue-light transmissions from screen displays by 35 percent. The filter also gives screens an extra layer of protection against everyday dust and scratches. 3M is currently offering High Clarity Filters for 14 monitors and laptops with screens ranging in size from 13 to 27 inches. Use the 3M Product Selector to find the right privacy and protection product for your device. 3M Display Materials and Systems Division is committed to bringing top-of-the-line, innovative privacy solutions to market. 3M™ Privacy Filters help secure personal and confidential data displayed on a screen by blacking out content from unauthorized side views, allowing businesses to remain compliant with the company privacy policies. As the experts in screen privacy, 3M offers one of the industry’s most complete line of screen privacy filters, available for most of today’s high-resolution monitors, laptops, tablets and smartphones. 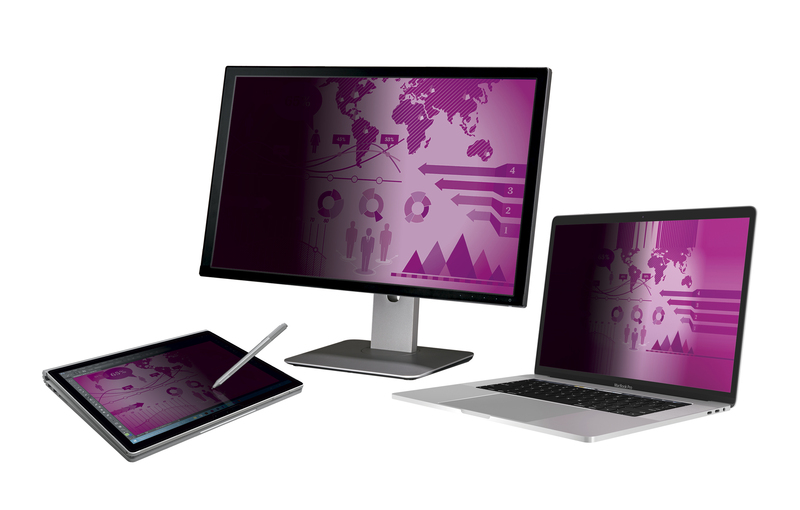 3M Privacy Products help organizations protect information displayed on screens, wherever their employees might be accessing it. For more information, visit www.3Mscreens.com. Apple, iMac, MacBook Pro and Retina are trademarks of Apple Inc.